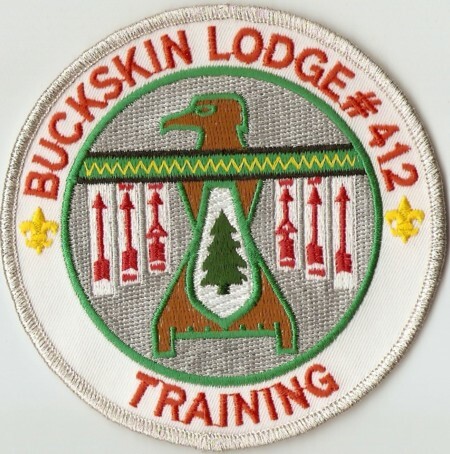 This is the second of two new Training Patches from Buckskin Lodge #412 reported by Brian Petrowski. …attached you will find scans of the 2008 Training patches from Buckskin Lodge. … The Silver metallic border (R10) was issued to training staff and 12 were made.